Please join us on Saturday June 11th, at 6:30pm for dinner and a conversation about the enormous challenges of developing a rural Guatemalan town, and stopping the mass exodus of its inhabitants. In 2000, a small group of immigrants from Cajolá, Guatemala settled in Morristown, NJ. They are not alone. A third of Cajolá’s 18,000 inhabitants have also migrated to towns and cities across the U.S. What is driving this mass exodus? What is the impact on this small Maya-Mam community in Guatemala? For the past decade Morristown resident Caryn Maxim has been working with the Cajolá community in Morristown and traveling every month to Guatemala’s western highlands to work in the Maya-Mam community of Cajolá. She will speak on the work, accomplishments and politics of creating lasting opportunities that halt the need for mass migration and begin to heal the wounds of family disintegration and destruction of local culture. Saturday June 11th, 2016 Dinner at 6:30. Program at 7:30pm. 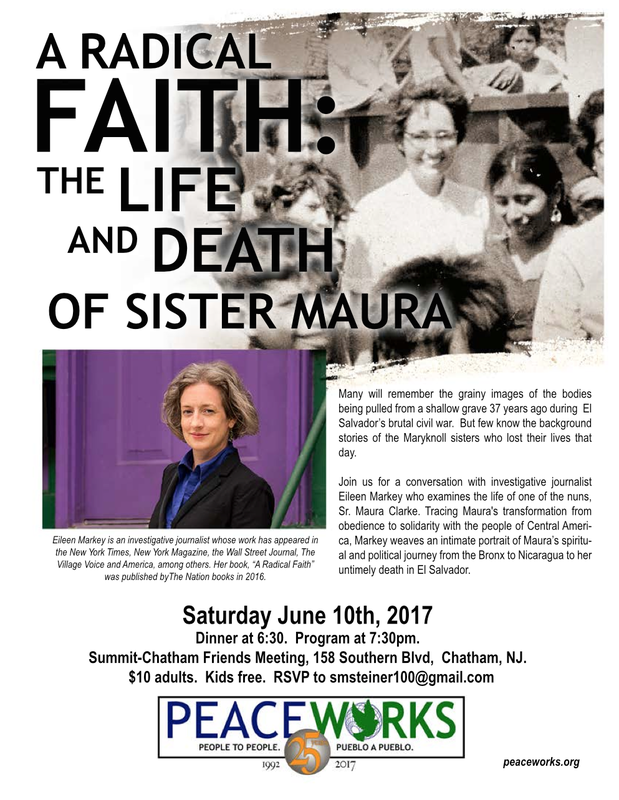 Summit-Chatham Friends Meeting, 158 Southern Blvd, Chatham, NJ. $10 adults. Kids free.